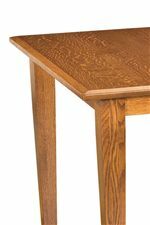 Complete your simple dining space with the Kennebec side chair. The piece is hand-crafted using traditional Amish construction techniques, like the steam bent back. 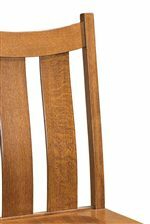 The shaped slat chair back highlights classic mission style, while tapered legs and clean lines give the piece a versatile appearance. Available in a variety of finish and wood type combinations, you can customize the chair to create the perfect look for your dining area. 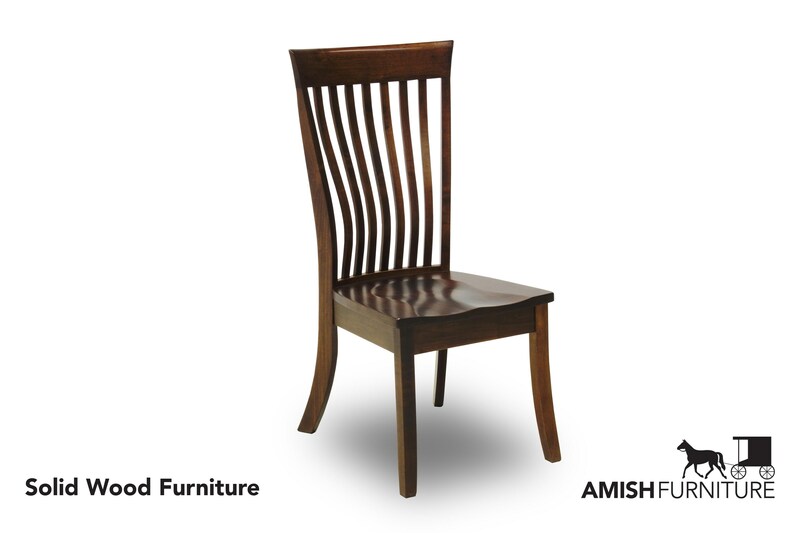 The Classic Dining Side Chair by Amish Impressions by Fusion Designs at Ruby Gordon Home in the Rochester, Henrietta, Greece, Monroe County, New York area. Product availability may vary. Contact us for the most current availability on this product. 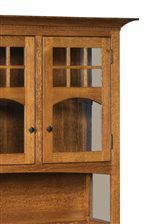 The Classic collection is a great option if you are looking for Casual furniture in the Rochester, Henrietta, Greece, Monroe County, New York area. Browse other items in the Classic collection from Ruby Gordon Home in the Rochester, Henrietta, Greece, Monroe County, New York area.